Whether you’re called to lead a church with entrepreneurial church growth methods or hands-on pastoring, lean into it with all you’ve got. No one can truly pastor 1,000 people. Or 500. Even 200 is stretching yourself too thin. That’s why the so-called 200 barrier is such a challenge. So, if you want to lead a large church, at some point you’ll have to give up most of what it means to be a pastor. Maybe even what you love about being a pastor. On the other hand, if you have a pastoral heart and want to keep pastoring people, you’ll need to give up your dreams of leading a big church. When it comes to hands-on pastoring and big church growth, it’s a matter of one or the other. Sometimes you can’t have it all. We serve an unlimited God, with unlimited time, energy, love and resources. But I’m not him. And neither are you. No matter how skilled, gifted, passionate, hardworking and faith-filled a person is, we all have to make tough choices to abandon good things in order to have better things. And those better things don’t always mean bigger numbers. There’s a lot to gain as a church gets bigger, but we need to be prepared for losses, too. There’s a lot to gain as a church gets bigger, but we need to be prepared for losses, too. Especially as a pastor. Like knowing everyone’s name and being available for pastoral care. Likewise, if our gift and call leans more toward being a pastor/shepherd, we need to give up other good things. Like a bigger church, and maybe even a full-time salary. This decision is not as automatic as you may have been led to believe. We don’t all need to pursue a larger church and stop being a hands-on pastor. A bigger church is not an automatic byproduct of successfully obeying the Great Commission. For some, pursuing church growth is the right choice. But it’s not for everyone. It’s probably not for most of us. 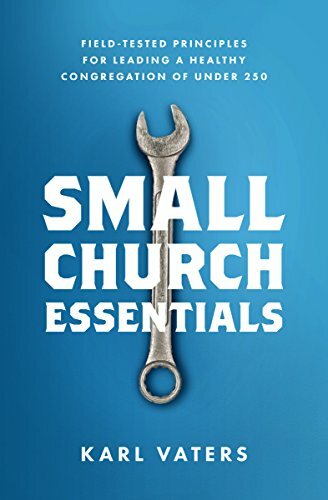 Most pastors are not called or gifted to manage the systems and processes necessary for a larger church. We’re in our sweet spot when we’re caring for people, praying for the sick, building relationships and mentoring the next generation of Christian leaders. You don’t need to switch to management mode and push for bigger attendance numbers to be a successful pastor. That will happen for some, and it’s great when it does. But it won’t for most of us. And that’s great, too. I know this may sound defeatist, even depressing to some. But it doesn’t have to be. Finding what you’re called to do, then eliminating everything else to pursue it is one of the most invigorating, faith-filled, focused places a person can be.